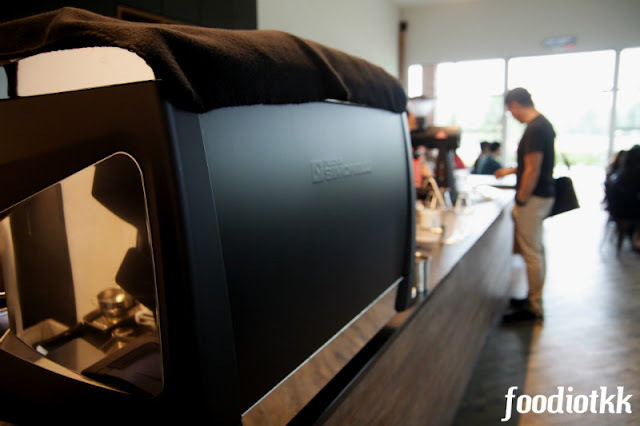 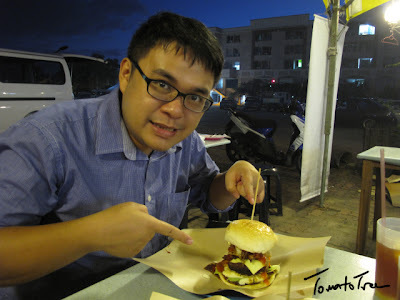 Suddenly everyone start talking about burger in KK. 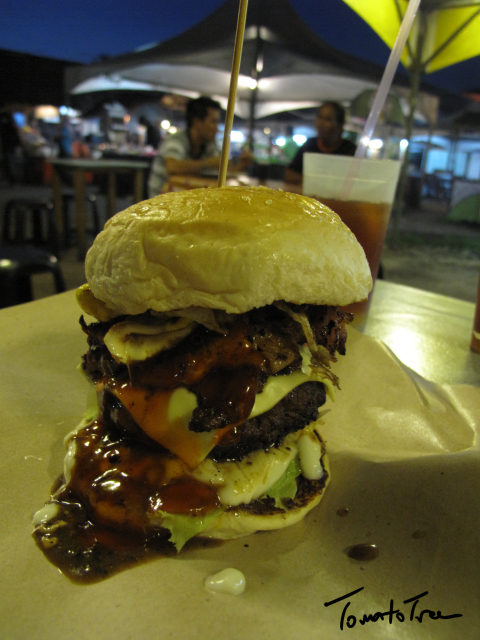 Not the ordinary burger, but a super-sized one. 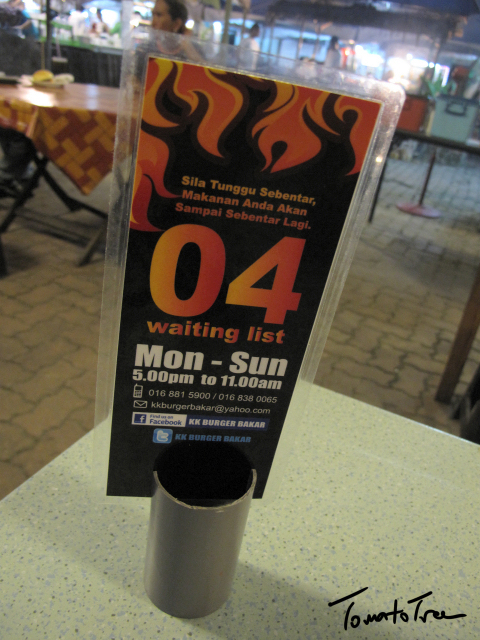 Wait?! Did you just said MegaMac?! No!!! 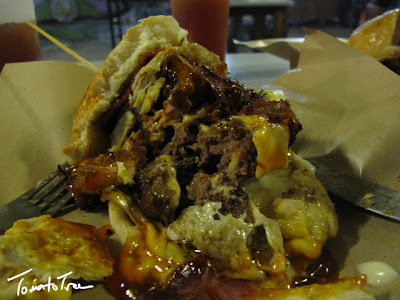 These burgers are like injected with steroid, they are so super big and trust me, only Adam Richman (from Man v. Food) can finish'em. I am no fight with Adam, both appetite and size, so I chose the medium one at KK Burger Bakar... Let's see my coverage of the most-talked-about-burger in town! Hello. my name is Double Six, with 2 piece of beef patty, fried egg, cheese and beef bacon. No big deal as compared to those on Man v. Food or to the Brooklyn Cyclone Burger at Brooklyn Restaurant, all burgers at KK Burger Bakar are within reach. Not long ago I just had a two-piece-patty beef burger at Bomber's Burger (click HERE for the post), so definitely I can finish one easily. 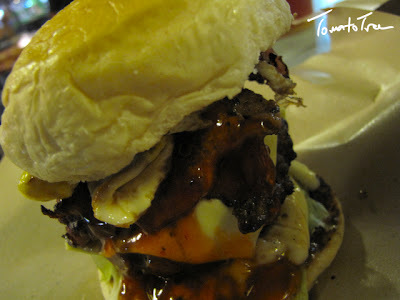 If I knew this earlier I would order the biggest burger here -- the Lava Gunung Kinabalu, with 3 beef patty and layers of cheese and bacon between the bread! 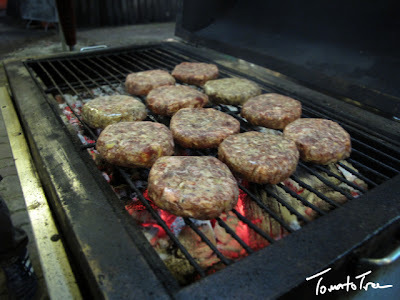 The grill station - all from charcoal fire! 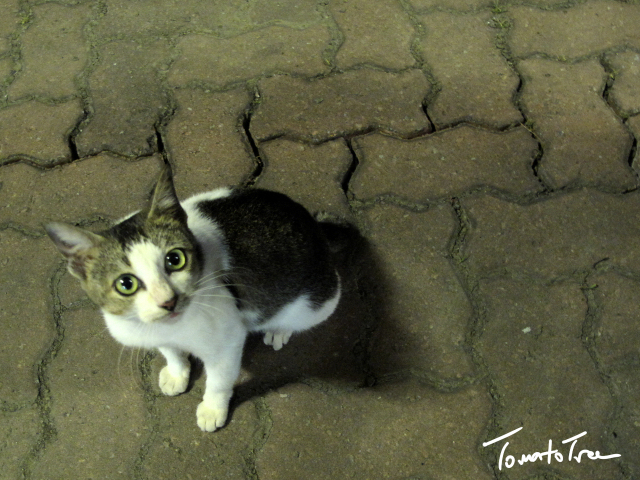 Cat looking at my burger! 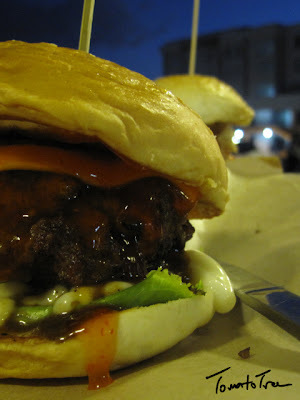 What makes KK Burger Bakar so famous is that they barbequed the meat patty instead of pan-fried; second, the burger is made from freshly ground beef mixed with their special recipe, instead of the ordinary frozen burger patty. 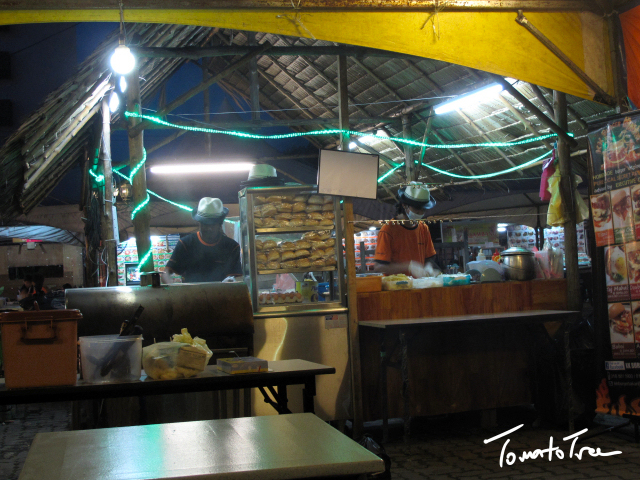 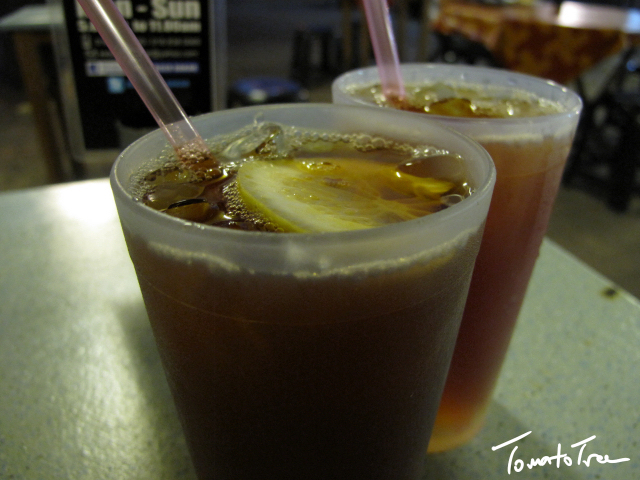 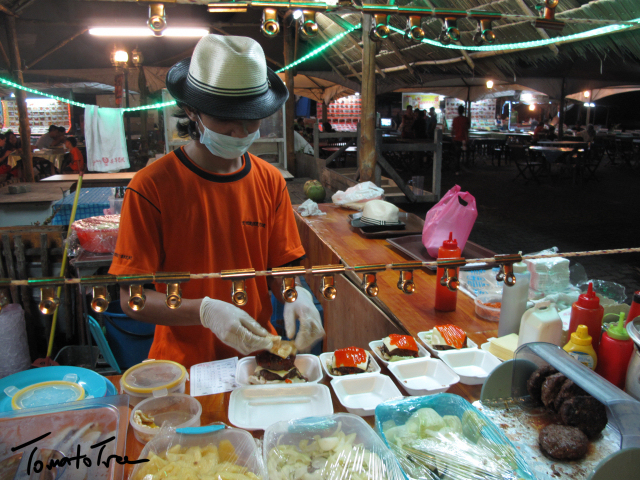 These 2 points make them no ordinary Ramlee Burger stall on the street. They put few pieces of sweeten pineapples too! However, all sauces (chilli, tomato and mayonnaise), fillings (lettuce and onion) and presentation (no fries or salad) are similar to any street-side burger stall. 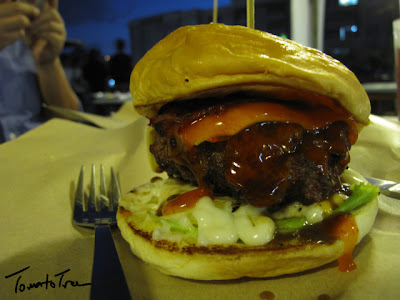 It's just that KK Burger Bakar is the first grilled / barbecued burger in town, and they introduced it at the perfect timing, right at the peak of the burger's era in Kota Kinabalu! 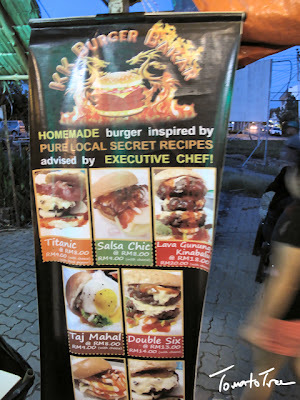 I assumed the list featured the most popular burgers in KK! 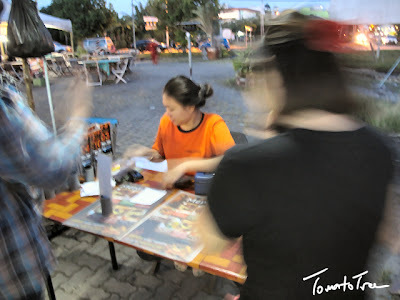 p/s: I realize this is starting to get a bit stalkerish, but I swear I'm just browsing through to discover more places to eat out. 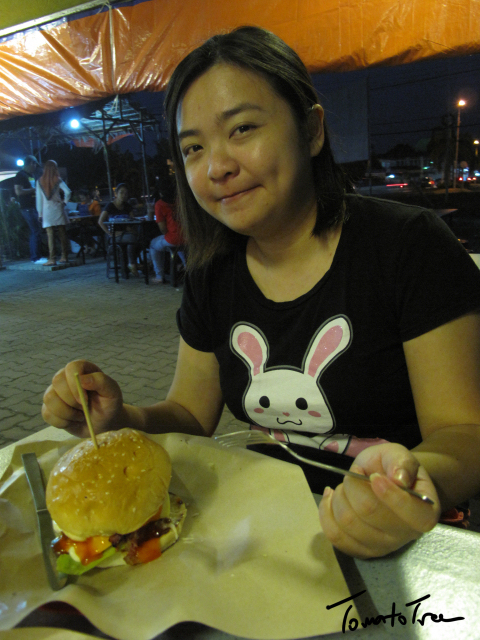 It's been awhile since I've tried new places.